It is my honor and privilege to serve as Chairman of the Board of the American Friends of Kaplan Medical Center (AFKMC). 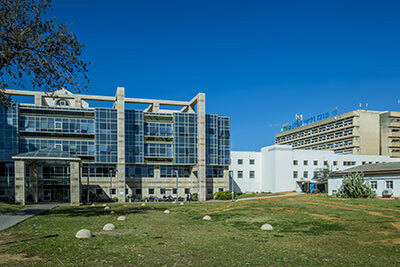 Kaplan Medical Center (KMC) is part of Clalit, Israel's largest health services system and second largest in the world. For close to 65 years, Kaplan Medical Center has been committed to providing quality health care services to local residents, serving today a mostly middle to low socio-economic status population of over 1,000,000, right in the heart of Israel. This mission means serving patients and their families, playing a major role in the community, and creating the best possible environment for everyone at KMC including physicians, nurses, technicians, clinical staff, volunteers, and medical students, and, most important of all, patients and their families. This continuing commitment constantly requires addition of new services and improvements to existing services, in order to better serve the needs of everyone in the community. The major projects for now are the completion of the new Pediatric Hospital and the construction of a new Cardiac Center. The existing buildings are 64 year old pre-fab barracks dating back to 1953, the inception of the hospital. These new buildings will allow all aspects of treatment in one space instead of moving the patients from building to building. KMC should justifiably be proud of its history of providing quality, accessible, dedicated, and personal care to its patients. It has a caring and remarkable medical, nursing, and hospital staff and a skilled administration and management team. But as we look toward the future, we have to continue to address the most pertinent healthcare needs of the KMC community. While there has been progress, there still is much work to do to continue improvements, remain committed to quality, and maintain KMC's and its various workers' passion for serving their community and provide compassionate care close to home. 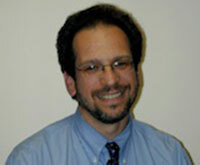 It's the type of care you or a loved one would expect to receive from one of the top hospitals in the Clalit network. In the past year, everybody has had to contend with the volatility of the financial markets in the USA, Israel, and the rest of the world. This continuing turmoil in the financial markets makes the always-difficult healthcare environment even more challenging. It's up to us, however, to help those in need. Major gifts to KMC may be recognized through significant naming opportunities, allowing donors to attach their names, and those of loved ones, to an institution in the forefront of caring and technology. We would be happy to provide all of the pertinent information. Details can be found here. I invite you to explore our web site as well as the KMC web site. I hope that you will join the ever-growing family of the KMC's supporters with a tax-deductible gift, however modest. Thank you.